To remain vibrant, the built environment requires ongoing attention and investment. 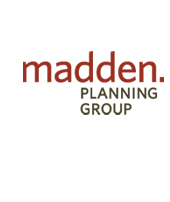 The Madden Planning Group is committed to working with multiple interests to determine a future uniquely tailored to place. Inspired by our interactions, we weave together distinguishing assets into a framework for moving forward. Our practice ensures the long-term sustainability of cities through sound governance structures, economic development strategies, and a focus on transit and walkable environments. Madden Planning Group is a women-owned business.